About three weeks ago, I attended a diabetes class with my partner. I myself do not have diabetes, but he does, and since we all live in the same household, we all have to adapt together. The meeting was enlightening, to say the least. I knew that breads were carbs, but I didn’t know the half of it. Pretty much everything that isn’t meat or a non-starchy veggie IS A CARB that will turn to sugar in our bodies. That means breads, grains, starches, (including some vegetables), beans, fruits, sweets, and a lot of milk products are just loaded with carbs. Not that carbs are completely bad; without them we can’t fuel our bodies. But if you are trying to count and cut back on carbs, you may feel as if you have eliminated the bulk of your food options. Don’t come into this with a self-defeatist attitude, though. Instead of looking at what you “can’t have,” look at what and how much you CAN have. Allow me to explain below. When people go to diabetic meetings or to weight reduction classes, they start to think that carbs are completely off the menu. That all-or-nothing mentality is more dangerous than the carbs! As I said – carbs are fuel. We don’t have to switch our fuel source, we just have to modify the fuel and use other items as additives. But what exactly does modification involve? Modification – or moderation – means reducing your carbs to a certain amount for every meal. Of course, you can’t reduce your carbs if you don’t understand what a carb is. According to the consensus of western doctors, every 15g of carbs counts as 1 carb. In the diabetic class I attended, the dietitian explained that for losing weight, the ideal carb intake per meal for men is 3-4 carbs (45g-60g), and 2-3 carbs (30g-45g) for women. This is also based on three meals a day and two snacks. By the way, you CANNOT save up all your carbs for the day and have them in one meal. If you’re diabetic, your body simply can’t handle that on a regular basis. For non-diabetics, it really isn’t healthy to gorge yourself on carbs during any one meal, because your body may think that the larger meal is the only meal you’re getting. When the body thinks you’re only having one meal a day, it goes into starvation mode, and it will ACTUALLY start packing on the weight as fat storage for later fuel consumption. Remember, our bodies are programmed to be paranoid to survive. So what exactly is 15g of carbs? Don’t let the metric system get in your way. Simply look at your food labels. Start out by checking out the total carbs. It will say how many grams is in one serving. Next, check out the serving size. THIS IS VERY IMPORTANT. Some people will look on a box and see that it only contains 20g of carbs. They then assume they can eat the whole box. Nice try, but no. The amount of carbs listed on the nutrition label is PER serving. As you start paying attention to carbs, you begin to realize that 3+/- carbs per meal really isn’t that much. It’s a good amount – don’t get me wrong – but it’s a major adjustment for most Americans. Nearly all processed food and fast foods are overloaded with carbs. True, you can stop eating these types of foods, but that’s not 100% practical for most people. Instead, go online and look up nutrition facts about your favorite fast food restaurants. Identify your low-carb options. Believe me, you have more options than just salads. Smaller sized items, foods that are wrapped in tortillas, or foods wrapped in lettuce all have less carbs. 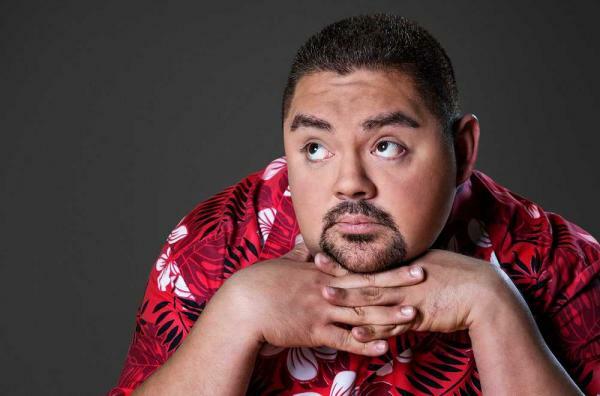 One of my favorite comedians, Gabriel ‘”Fluffy” Iglesias, has been quoted to say that he has gone through major weight loss as a way to battle with his diabetes. Part of what he has done to lose weight includes ordering fast food and tossing out the bread parts. In other words, he orders a burger and completely disassembles it, so all he eats is the meat, the cheese, the vegetables, and the non-carb condiments. 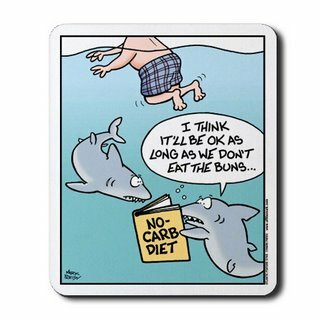 That is definitely more of a no-carb diet rather than a low-carb diet. The main thing here is that Fluffy’s strategy lets you have a lot of your favorite fast food flavors without as many calories/carbs. Personally, I think anyone who is entering a diabetic-friendly diet, or even just a weight-loss diet, should communicate with the people they live with so everyone can band together. You’re going to need the support anyhow, so everyone might as well be on board. For our household, there are three adults, and only one of us has diabetes. The other two of us want to support our partner, so we’re willing to adjust our diets so he can live longer and healthier. Plus, all three of us want to lose weight, and this was just a great excuse to start that process. Beyond adjusting your shopping lists as a family, you may want to consider posting signs in your kitchen that remind you about which foods have carbs, how to make better choices with different food groups, etc. I found these charts and information pages rather helpful. If nothing else, when you are meal planning, these make for a nice reference. Furthermore, there are loads of resources online that give you delicious recipe ideas. Pinterest is a great place to start. You can try looking up diabetic-friendly meals, and that will lead you to a lot of recipe lists. If you are planning meals for a diabetic, you may want to look on recipe lists for different but related dietary issues. For example, people who can’t digest gluten tend to eat fewer carbs. As a result, there are loads of fun and delicious recipes that are gluten-free and low-carb. Everyone has different cravings, and combating those can be difficult no matter who you are. There have been several tricks that have helped the three adults in my household deal without going crazy. If you have other tips, PLEASE SHARE THEM IN THE COMMENTS!!! Thanks to so many dietary restraints these days, a large number of manufacturers create low-carb options. You do have to accept that whatever you’re eating will be smaller than the high-carb version. Low-carb bread, for instance, can taste just as good if not the same as regular bread, but the slices are noticeably smaller. There also products made with soy or other dairy/wheat substitutes, and many of these products can help you cut carbs. One gem my partner found was Arctic Zero ice cream. 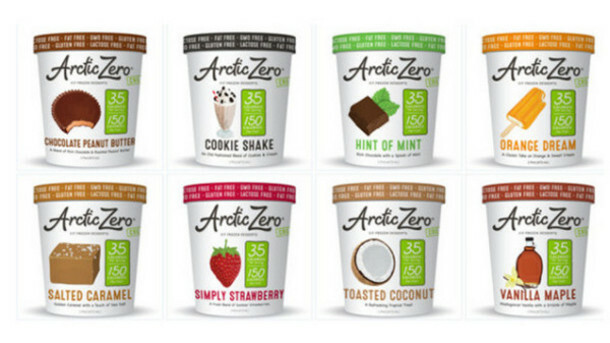 Their logo is “fit frozen desserts.” They have a multitude of delicious flavors, and one of their lines of products is lactose-free, GMO-free, gluten-free, fat-free, and kosher. I will admit, this ice cream can be a little pricier at places like Safeway, but if you shop around, like at Sprouts, you can find better deals. In most diabetic meetings, they tell you that you should fill half of your plate with vegetables at every meal. Let me tell you that sautéed or steamed veggies get boring rather quickly, so we are trying many different veggie experiments. Again, the Internet is full of recipes and instructions. I recently tried making a cauliflower crust quiche, and for the cauliflower crust I used the recipe from this website. Since it is summer and blazingly hot, I cooked the quiche in the crockpot. To do so, you make the crust as normal. To cook in the crockpot, start off by lining the crockpot with parchment paper. Then press the dough on the bottom and into the sides. After cooking the dough on low for about two hours – don’t forget a cloth on top to catch the moisture –put in the quiche filling and cheese, and cook everything in the crockpot for about another two or three hours. The cauliflower crust turned out real tasty. I think the quiche would’ve been better with fresh, diced tomatoes on the top, but that’s a personal preference. I have to admit that I have had a few days where I think I was going through carb withdrawals or carb cravings – not sure which. To avoid going on a crazed rampage, I allowed myself to have a few extra carbs. It’s not something you can do every meal, and it’s definitely something you should do in moderation, but as you’re getting used to this type of diet, it’s the only way you’re going to get through it, stick to it, and avoid going insane with hunger pangs. Something you could do – at least something we’ve done a few times – is if your meal is completely carb free, which is a lot easier to do than you think, we occasionally use up all our carbs on desert. Granted, with our decadent low-carb dessert options, sometimes we can even manage having a low-carb meal AND a super yummy dessert without going over our per meal limits. This was a huge challenge, even in a household with two diabetics, who have been diagnosed as diabetic for over 30 years. My partner and I recently took over cooking for his parents, due to their age they just can’t keep up with everything anymore. It is still possible to have great meals as a diabetic! Glad you’ve found some treats, and are finding what works for your household. That’s more than half the battle!